Whenever a driver is arrested of charges of driving while intoxicated in New Jersey, there will be many questions and concerns they will have. Often, these involve the process and outcomes of the sentencing after they have been tried. From the time a driver is stopped by law enforcement on suspicion of DWI, the entire case and whether there will be a conviction or acquittal will hinge on how the case is handled and the evidence involved. Police officers must have a justifiable reason to make a traffic stop when investigating a DWI. If they don’t have a reason to make the stop, they’re not allowed to stop a vehicle simply because they feel like it. Once the stop is made, the officer will then speak to the driver, ask for the driver’s license, registration and insurance all the while looking for signs that he or she has been drinking. This can include slurred speech, glassy eyes and the smell of alcohol. If there is still evidence that the driver has been drinking, the officer will then give field sobriety tests including the Walk-and-Turn test and Horizontal Gaze Nystagmus. The officer will then ask the drive to take a breathalyzer test. The breathalyzer is meant to determine the blood alcohol content. Under New Jersey law, drivers are not allowed to refuse a breathalyzer when asked to take one by law enforcement. If they do so, there will be an added charge of refusal whether the driver has been drinking or not. The breathalyzer test has certain procedures including the officer having to watch the driver for 20 minutes to ensure that nothing is done – smoking a cigarette, chewing gum, regurgitating – to compromise the accuracy of the test. If the driver age 21 or over registers a BAC of 0.08% or higher, an arrest will be made. A driver under age 21 who registers 0.01% will be arrested. For a commercial driver, the level is 0.04%. Then the arrest will be made. The alleged drunk driver will be arraigned and asked to plead guilty or not guilty. New Jersey doesn’t have plea bargains and there is no benefit to the driver to plead guilty at the arraignment. If the driver chooses to plead not guilty, a trial date will be set. The attorney for the defendant will have the right to discovery. That means all the evidence against the client will be provided to the defense attorney. The attorney will then make any pre-trial motions that are deemed necessary. This could be to exclude evidence or statements that might have been acquired illegally. A request could be made to limit the testimony of certain prosecution witnesses. The lawyer could ask that the charges be dismissed for a multitude of reasons such as the prosecution failing to provide all the evidence from the case or not giving the defendant a speedy trial. When the case goes to trial, the defendant doesn’t have the right to trial by jury. The judge will preside over the case and make the decision. The trial will be held with each side presenting its case with evidence and witnesses. At the conclusion of testimony, a decision of guilty or not guilty will be made. If a defendant is acquitted, he or she is free to go with nothing more from this incident. If there is a conviction, the judge will impose sentencing. 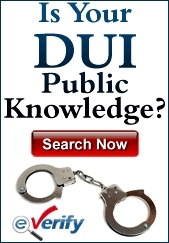 The judge’s leeway in a regular, traffic offense DWI trial is limited by the parameters under New Jersey law. A felony DWI can occur if there is an accident with injuries and the driver will be allowed a jury trial with harsher penalties. The amount of alcohol in the system, whether it’s the first, second, third offense, what kind of license the driver has and where the incident occurred. For example, getting charged with DWI in a school zone carries with it harsher penalties than a simple DWI. For a first offense DWI with a BAC of between 0.08% and 0.10%, the judge will likely suspend the driver’s license for three months. There will be a fine of between $250 and $400. The driver will have to pay annual surcharges for three years at $1,000 annually. $100 each will be paid to the drunk driving fund and the Alcohol Education and Rehabilitation Fund. $230 will be paid to the Intoxicated Driver Resource Center (IDRC). $75 will be paid to the Neighborhood Services Fund. There can be 30 days in jail. 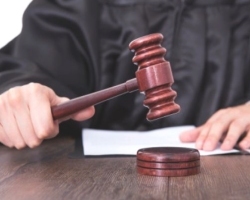 If the judge finds the defendant guilty of having a BAC of 0.10% or higher or of driving under the influence of drugs, the penalties are worse. The license will be suspended for seven months to one year. The surcharges and fees stay the same, but the fine rises to $300 to $500. There can be a jail sentence of up to 30 days. An ignition interlock device will be placed on the driver’s vehicle for the duration of the suspension of driving privileges and for six months to one year after driving privileges are reinstated. For judges who are handling a case with a driver who has multiple DWI offenses, there will be harsher penalties meted out. If the second DWI conviction happens within ten years of the first, the judge can sentence the driver to jail for between two days and 90 days. The surcharges and fees all stay the same except for the IDRC which rises to $280. The fine will be for $500 to $1,000. The ignition interlock device will be on the vehicle during the suspension and for one to three years after. With a third DWI offense within ten years of the second offense, the surcharges will rise to $1,500 annually for three years. There will be a fine of $1,000. The other fees stay the same. There can be six months in jail. The ignition interlock punishments will be the same as for a second offense. If a defendant is acquitted, the prosecutor cannot appeal the case. If the defendant is found guilty, there is the opportunity to appeal. There will be twenty days from the time the of the decision. It will be heard by one Superior Court Judge who will examine the case and decide whether or not to uphold it. If that appeal is upheld, the defendant can again appeal. This time, the appeal will be to the multi-judge panel on the Appellate Division.